It’s been a year full of men in positions of power who’ve been forced to apologize for their terrible behavior. Some of those apologies have been... adequate, but the vast majority of them have been godawful. Marvel’s new EIC recently issued an apology of his own and, well, it’s the latter. C.B. Cebulski, a white man, was recently revealed to have posed as a Japanese man in the early 2000s while trying to break into the comics industry as a writer. At the time, Cebulski was working as an assistant editor for Marvel and the company had a strict policy against its full-time editors also working in writing capacities. Cebulski sidestepped Marvel by submitting writing scripts under the name “Akira Yoshida,” but this was more than a mere pseudonym. As Yoshida, Cebulski spoke openly about “his” childhood in Japan. In time, Yoshida came to Marvel’s attention and the comics publisher offered him a job—unaware of Yoshida’s true identity. I’m truly sorry for the pain, anger, and disappointment I caused over my poor choice of pseudonym. That was never my intention. Throughout my career in anime, manga, and comics, I’ve made it a point to listen and learn from my mistakes, which is exactly what I’ve been trying to do with this misstep. Building honest relationships with creators has always been important to me, and I’ve continued to do that in my new position. I’ve spoken with talent close to this issue, and have had candid and productive conversations about how we can improve the industry and build better stories, while being mindful of the voices behind them. My passion has always been about bringing the best talent from across the world to work on the best stories in the world, and I’m hopeful that fans and creators alike will join us in that continued mission. You know what makes for an objectively bad apology? When the person apologizing refuses to explicitly acknowledge and take responsibility for the messed-up thing they’ve done. Cebulski didn’t make a “poor choice of pseudonym,” he straight-up lied and pretended to be a person of another race while writing stories about people from that culture that (if you go back and read them) belie his whiteness. In pretending to be Akira Yoshida, Cebulski bolstered his own career by providing Marvel with a supposedly “authentic” voice that stood as an example of the company’s commitment to inclusion. 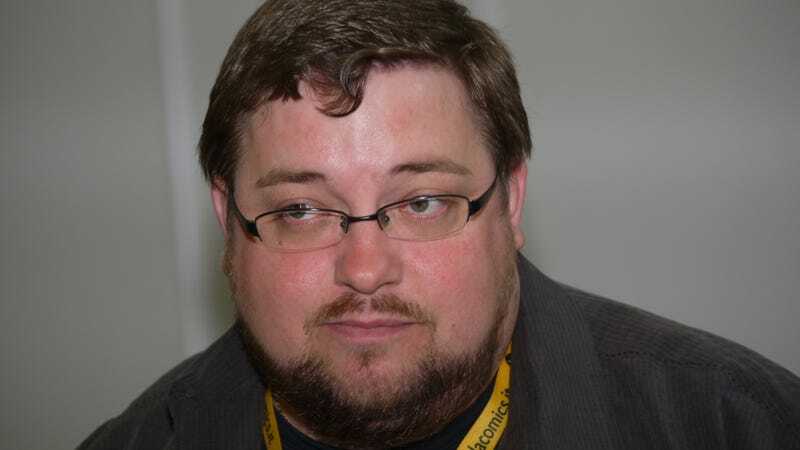 But rather than being held accountable for his actions, Cebulski was made Marvel’s editor-in-chief.